Ever-growing energy needs and depleting fossil-fuel resources demand the pursuit of sustainable energy alternatives, including both renewable energy sources and sustainable storage technologies. An apple may be the answer to the next generation of energy storage technology. The new carbon-based material for sodium-ion batteries can be extracted from apples. According to KIT, sodium-ion batteries are not only far more powerful than nickel-metal hydride or lead acid accumulators, but also represent an alternative to lithium-ion technology, as the initial materials needed are highly abundant, easily accessible, and available at low cost. A carbon-based active material produced from apple leftovers and a material of layered oxides might help reduce the costs of future energy storage systems. Both were found to have excellent electrochemical properties and stand for the environmentally compatible and sustainable use of resources. Now, these materials are presented by researchers of the Helmholtz Institute Ulm of Karlsruhe Institute of Technology in the journals "ChemElectroChem" and "Advanced Energy Materials." Sodium-ion batteries are a very promising technology for stationary energy storage systems that play a central role in the transformation of the energy system and will be a highly attractive market in the future. The material developed for the positive electrode consists of several layers of sodium oxides. 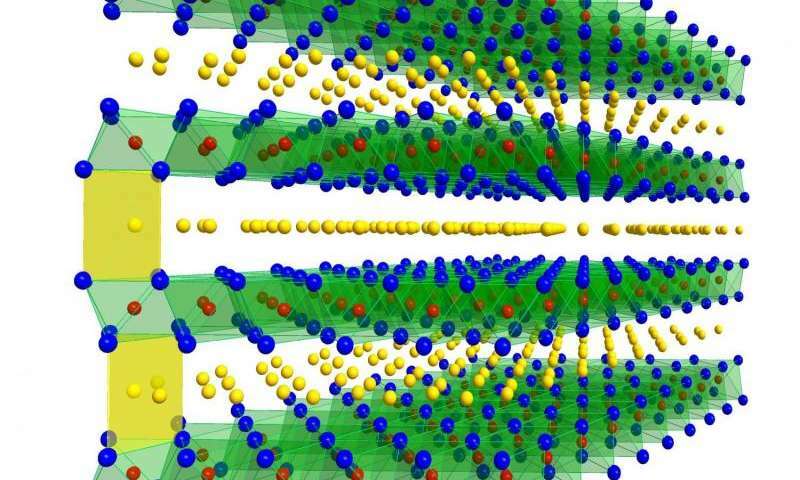 This active material goes without the expensive and environmentally hazardous element cobalt that is frequently used in active materials of commercial lithium-ion batteries.